Hollywood Monsters is the creation of French guitarist and composer St�phane �Steph� Honde who, after considerable success in his native country, has made California his home since 2012. But he's been busy these last two years writing music for his new project Hollywood Monsters and this first album Big Trouble. Steph Honde: wailing on that guitar. Also in the same short space of time, Honde has been able to garner the help of some legendary classic rock musicians including bass player Tim Bogert (Vanilla Fudge, Cactus, et al), keyboard player Don Airey (Deep Purple, Whitesnake, et al), and drummer Vinnie Appice (Dio, Black Sabbath, et al). Early Iron Maiden vocalist Paul Di'Anno, with whom Honde also toured with, adds vocals on the bonus track F*ck You All. It's all quite impressive, but what's inside? 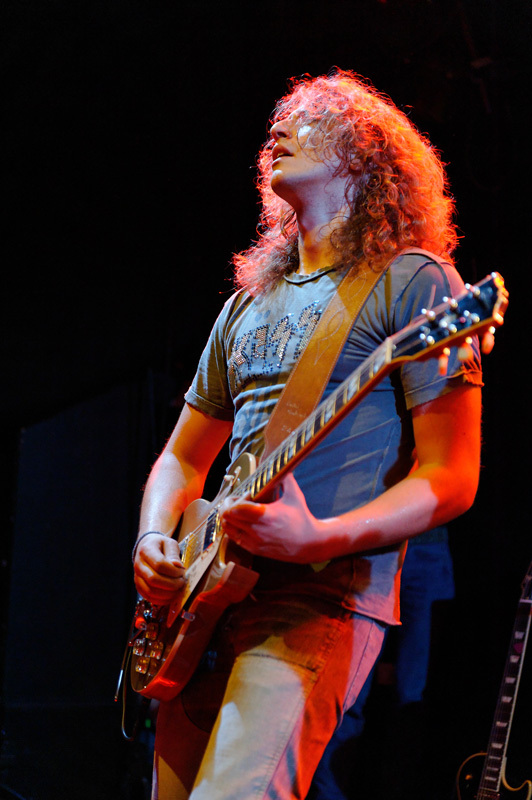 The answer would be mostly classic melodic hard rock, with Honde's guitar work front and center. The title cut is a good example of how the elements blend: large riffs, good melody, catchy refrain, and a concise sweaty solo in the mix. Honde blends groove with a metal edge within Underground. Village of the Damned, which he wrote for Appice, could be the heaviest song here, sounding like a cross between a Whitesnake and Black Sabbath song with Honde ripping off a nice solo at the end. Other parts of the album are more toned down and tame. The Only Way, The Cage, and The Ocean begin lighter electric guitar before getting beefy in the latter half. Although The Ocean really doesn't, where Honde prefers to add a symphonic layer and acoustic guitar. Oh Boy! comes off as some blues inspired number, but possibly more so in Song For A Fool. It's a slow mover and burner, especially in the drum line and Honde's solo. Throughout Honde offers a solid vocal performance, though sometimes it seems muted. All said, Big Trouble is an album of varied and creative melodic hard rock songs that will keep your interest. Recommended. 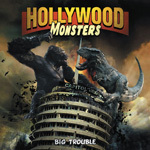 Hollywood Monsters' Big Trouble, from guitarist Steph Honde, is an album of varied and creative melodic hard rock songs that will keep your interest and keep you entertained.